From the FBI, yea right! I would say on the average I receive an email scam about three times a week. 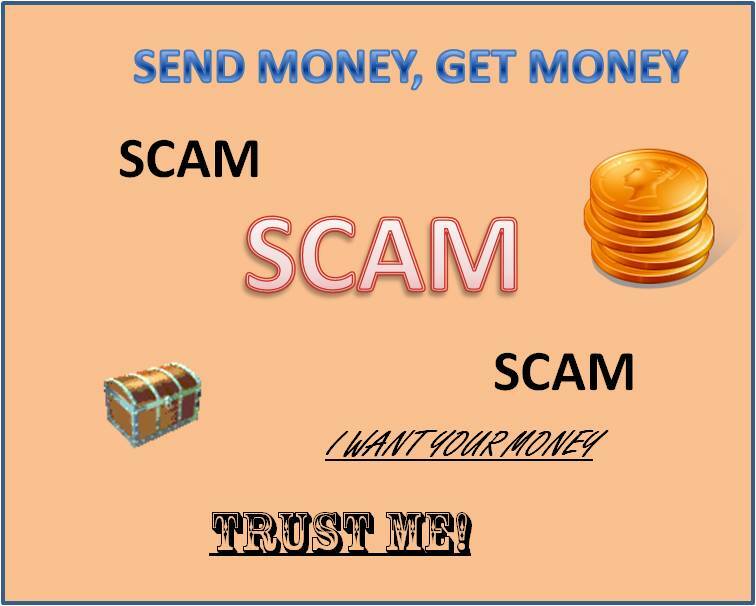 They all have the same basic format, you receive a large sum of money and all you have to do is send information to receive it. I have never gone any further than reading the email. Here is another potential scam I have received recently. Due to my position in service I called the Embassy shipping service head quarter of NIGERIA and made a complain to them in regard to your package and I also told them that I want your package to be shipped to you as soon as possible. I received an update from the Embassy today in regard to your package I want you to follow their advice and instruction so that your package can be shipped to you. They made me understand that the charge fee holding your package is $117 only and once the charge fee is paid shipment will commence that same day. My advice to you now is to go ahead and send the $117 to them I will make sure shipment commences once the charge fee is received by them. Note: MY ADVICE AND INSTRUCTION IS VERY IMPORTANT TO THIS TRANSACTION TO COME TO AN END IMMEDIATELY, YOU NEED TO COMPLY ACCORDINGLY WITH OUR DIRECTIVES. Make sure you keep me updated once you receive your package and also let me know once you send the charge fee required so I can also make sure shipment commence that same day. I WANT YOU TO USE THE INFORMATION BELOW TO SEND THE REQUIRED CHARGE FEE. I WILL FORWARD THE CONFIRMATION DETAILS TO HIM AND I WILL MAKE SURE SHIPMENT COMMENCE ONCE THEY RECEIVED THE CHARGE FEE. Dr. Linda Williams and Marvin Hamson Federal Bureau of Investigation J. Edgar Hoover Building 935 Pennsylvania Avenue, NW Washington, D.C.2535-0001, USA. SEND THE CHARGE FEE VIA MONEY GRAM OR WESTERN UNION AND I ASSURE YOU SHIPMENT WILL COMMENCE. ADDRESS: 4TH AVE.GLASS BUILDING FST. Once payment is made get back to me with the payment confirmation details required below so shipment can commence. And I will forward it for shipment to commence immediately.